While we do not recommend you climb via the Marangu Route unless you have very good reason, we still offer it to climbers. Marangu is the only route on the mountain where climbers sleep in huts and not in tents, and sees a lot of unprepared climbers each year. 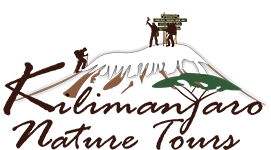 Please consider the Marangu Route carefully before deciding to climb it. For some more advice, feel free to email us. We recommend the Rongai Route as a substitute for the Marangu Route. Often perceived as the easiest way to climb Mount Kilimanjaro, the Marangu Route sees more climbers each year than any other. Unfortunately the Marangu is no easier to climb than the other routes on Mount Kilimanjaro for one simple fact – the summit is still at 19,340 feet and you still have to climb every step of the way. On the Marangu Route, climbers sleep in huts and not in tents, leading to people saying that this makes the climb easier. The thing is you still sleep in your sleeping bag in these huts so it has no bearing at all on the difficulty of the climb. Alas the urban legend of the ‘easy Marangu Route’ is rife amongst those climbing Mount Kilimanjaro and with many attempting this route in just 5 days (reaching the summit in just over 3), Marangu has the greatest failure rate of all the routes. On top of this the Marangu ascends and descends on the same trail meaning you don’t get to see another part of the mountain on the way back down. You do however get to pass lots of exhausted people on their way up in the knowledge that you have already (we hope!) had a successful climb. At 4th Summit, we will organize a climb of Mount Kilimanjaro via the Marangu Route but only for a 6-day climb and not 5. The danger of serious illness caused by climbing Mount Kilimanjaro in just 5 days is far too great. For many people climbing Mount Kilimanjaro is a once in a lifetime experience, we would hate to see it spoiled by choosing an ill-advised route on the mountain. 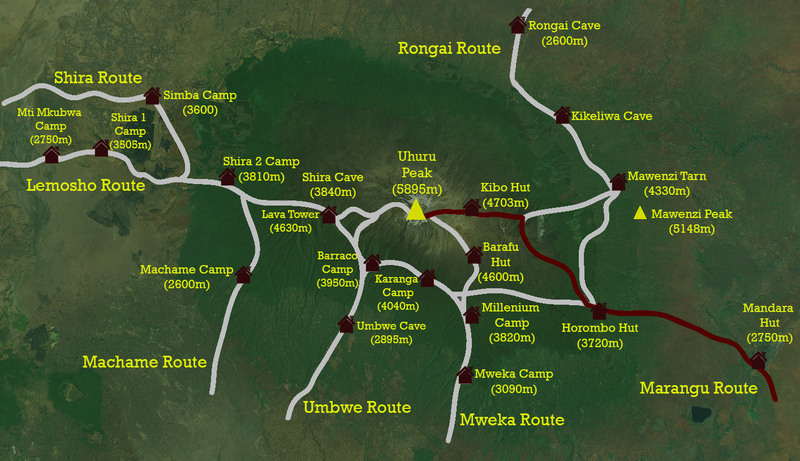 That said the Marangu route is relatively cheap, as fewer porters are needed because no tents are being carried. It also has some spectacular views on the descent and for those who love the opportunity to meet new people and share the climb with others, Marangu should fulfill this expectation due to the massive volume of climbers in the peak season.